On Sunday my wife and I ran a local 5K race to help raise funds for my friend Mike as he trains to race for Team USA at this summers Maccabi games. Anyone who knows me knows that if I have a plan I stick to it somewhat religiously. If someone in our family talks about weekend plans in the future I pretty much look up my calendar and see what run I have planned. I guess that’s my nature. My wife would tell me to loosen up a little. I guess it’s my profession to be measured and disciplined but sometimes you do have to have a little fun. Of course when I am at Walt Disney World it’s all fun. Anyway, with a week before I run the New Jersey Marathon I am hitting the last part of the taper and resting up for my best efforts on May 5th and I was being extremely careful in my preparation as this is my ‘race’ for the year where I am going for a goal, but this was for a friend and I wanted to make sure I was there to support. 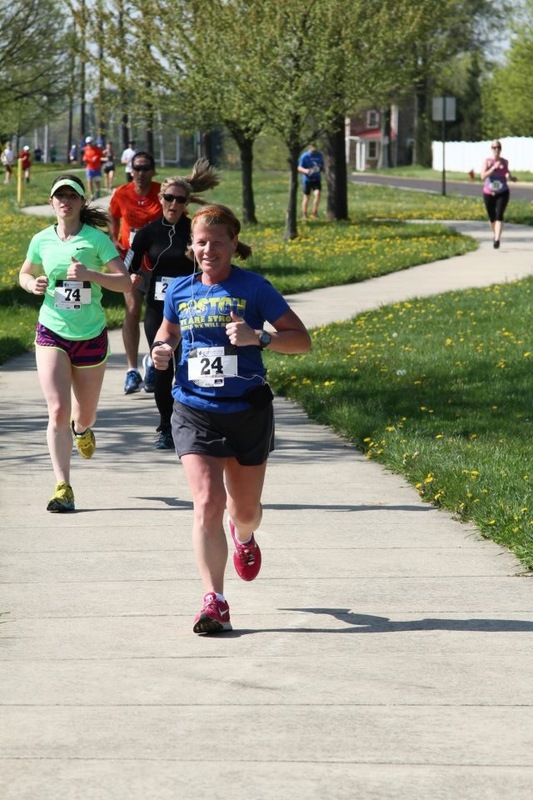 I wasn’t going to run hard during the race but take it nice and slow to keep loose and have fun. The weather was perfect. Clear sky, light breeze and cool temps in the 50s. I dropped my eldest off at his Sunday morning class and took the double stroller to run with Asher (and his Best Pal). Shari and I both wore our new ‘Boston Strong’ shirts and we were glad to see that many of the people there were also wearing Boston gear. Runners are their own support group. I started at the back as I was the only one running with a passenger, mind you I was lucky I noticed just before the start that I was on the wrong side of the start line which would have put me at the front…oops. Shari went off with the main pack and ran a new 5K PR (just over 24 minutes). As the say in Boston she is becoming a ‘wicked fast runnah’. She makes it look good. I took it nice and slow chatting with Asher all the way and asking him to tell me the directions of each of the arrows on the course. 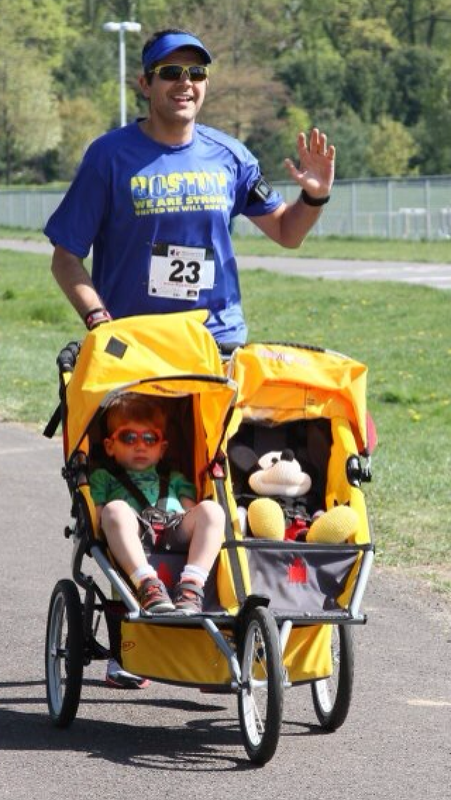 He was a good navigator and I made it back to the finish line running 10 minute splits. Asher was more excited to see his Mommy at the finish line although he had fun peeking through the window in the hood of the stroller to make sure I was still there during the race. Mickey, I am pleased to say, behaved beautifully. We made it to the finish line. 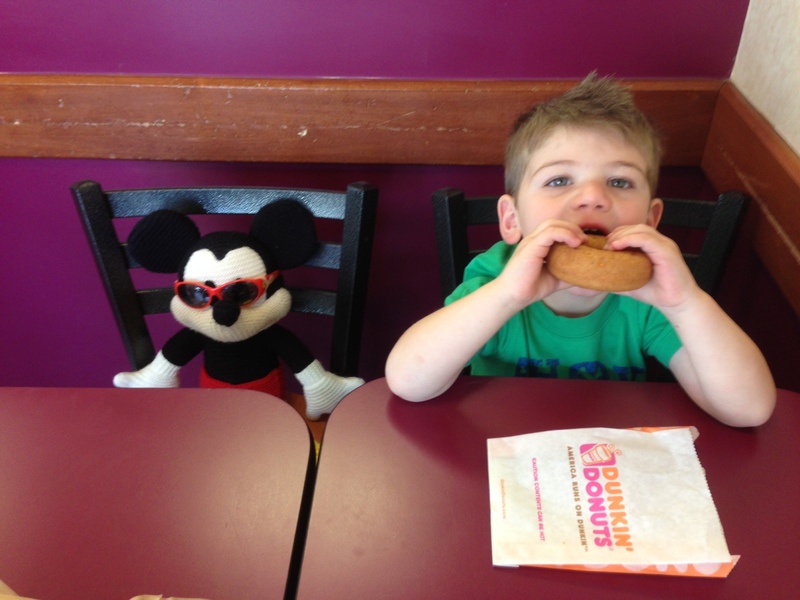 Asher already re-carbing for his next event. After the race was over and we had said goodbye to everyone we headed over to Dunkin’ Donuts for coffee (me) and a treat (Asher) as promised. It seems I do run on (or at least for) Dunkin’. 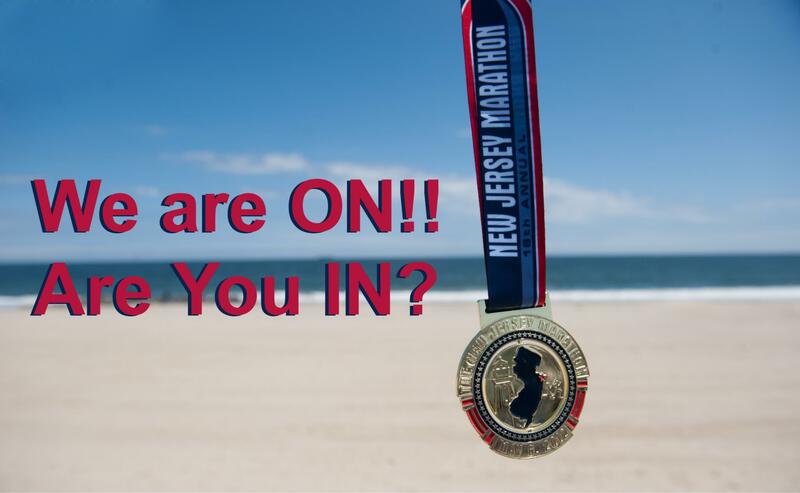 Once I have completed the New Jersey Marathon next week I will be getting ready to hold a virtual 5K to raise funds for Autism Speaks and hopefully get closer to achieving my fundraising target for the 2014 Dopey Challenge. (Watch this space, the medal looks awesome). Raising funds for charity sometimes feels harder than the actual training itself. In addition you feel a little extra pressure to make sure you achieve the goals you set out for yourself so you don’t let everyone down. It’s tough and hopefully your family, friends and colleagues understand why you repeatedly ask for sponsorship. If you would like to follow my progress please sign up to follow this blog. If you would like to contribute to the cause you can do so using this link. My goal is stay healthy through running and go onto raise funds for other events in the future. 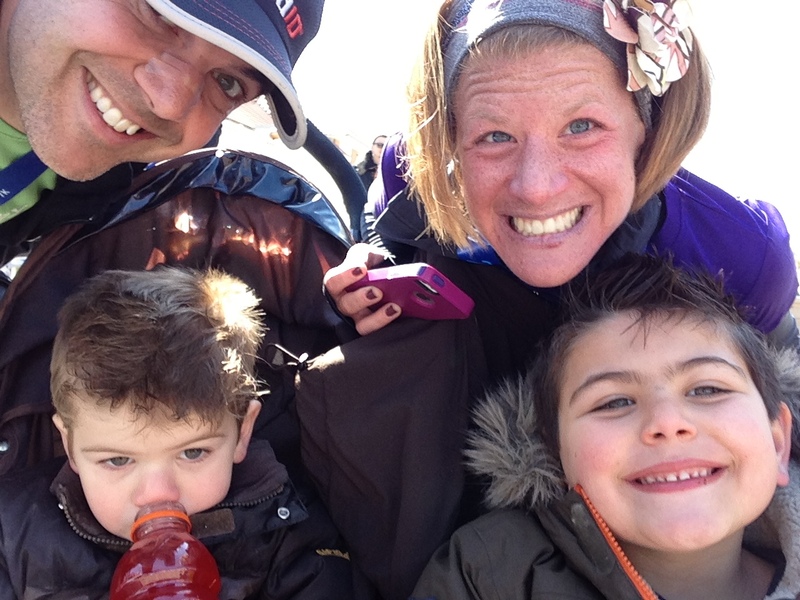 My hope is that in 2015 (a long way off I know) that I get to run the Boston Marathon for Autism Speaks if they have places for the event. I’m not a ‘wicked fast runnah’ and this may be my only way to that great event. I know that if I get there to run for others that will be my personal BQ. Just a week ago in Boston we were reminded that there are things beyond our control. As runners we follow a plan, we train, we practice our race day efforts (pacing, hydration, fueling strategy, clothing) but for all our planning and rehearsing both physical and mental we have to understand there are things we cannot control. A colleague once said to me during a difficult project that you can only worry about the things you can control, you cannot worry yourself about the things you can’t. 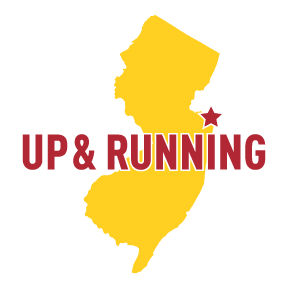 I am now two weeks out from the New Jersey Marathon. I have trained hard for this. Again using Hal Higdon’s Intermediate 1 plan, early cold winter mornings (remind me not to sign up for too many Spring marathons unless I move to Florida) and I am now enjoying(?) the taper down to race day. I may be over-carbing a little too much but I have two weeks to work on that. When I signed up for this I thought it would be great to show support to the folks in New Jersey following the devastation that occurred as a result of Hurricane Sandy. Although I live just outside of Philadelphia I work very close to the Jersey Shore in Holmdel, NJ. Indeed we were impacted by the storm and the surrounding areas were hit hard. We as a Company stood up to challenges it faced and have very much embraced the ‘Restore the Shore’ initiatives. Take a look at this article which captures how the Company I work for faced the impact of the storm for our community. 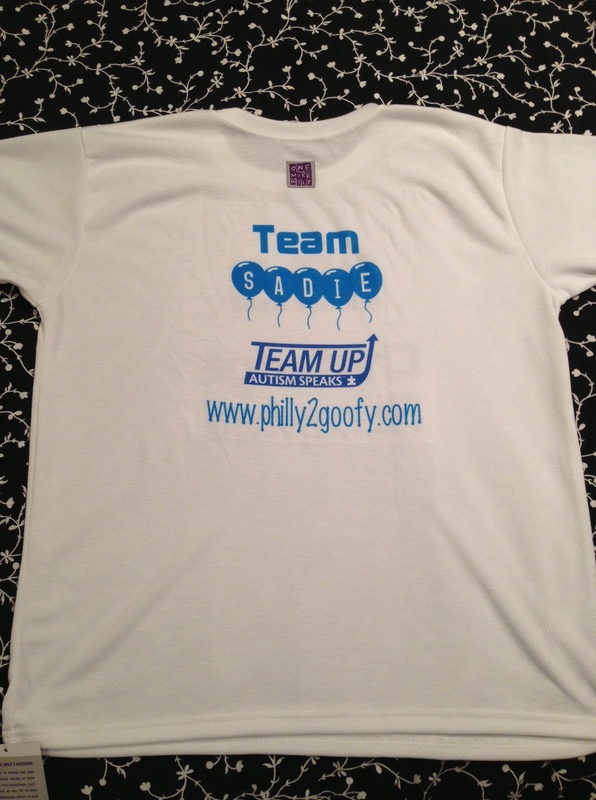 Before I headed down to Walt Disney World for the 2013 Goofy Challenge I floated the idea with my Company that we should get a team of runners together for either the New Jersey Half or Full Marathon to represent our Company and it’s ‘Restore the Shore’ initiative. I am pleased to say that we will be sending a few folks along (me included) as well as sending some race volunteers. I sent my original email before the tragedy at Sandy Hook in Connecticut last December. It was this tragedy that the Boston Athletic Association was honoring last week with a special mile marker at mile 26 to remember each of the victims of that terrible event. Little did anyone know that we would again be witnessing another tragedy on the day of the Marathon. Indeed many of the runners were not able to reach the 26 mile marker on that day. Over the last week we have seen an outpouring of support from runners all over America and the World in support of Boston. 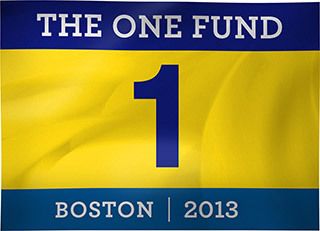 The City of Boston has set up the ‘One Fund Boston’ site where people can contribute to support the victims of the tragedy. You can visit the site here. Last week the New Jersey Marathon Race Director asked that we run to support Boston by wearing the yellow and blue colors of the Boston Athletic Association. Many vendors have produced such gear with net proceeds from the sale of items being contributed to the One Fund Boston organization. 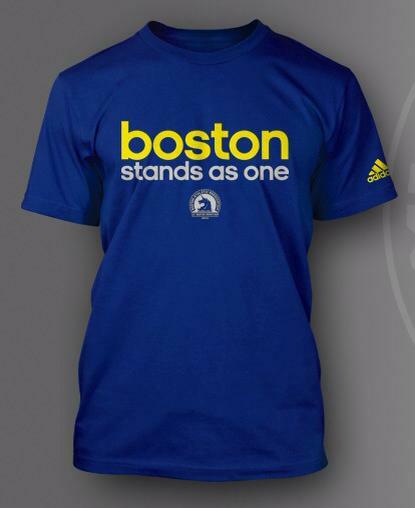 Indeed the official partner of the Boston Marathon, Adidas, is selling a race shirt with all proceeds going to this fund. So, with two weeks to go I have many more reasons to run. I started out with thoughts of supporting the victims of Hurricane Sandy, now we run to finish for those in Boston and to complete the honor of commemorating the 26 victims from Sandy Hook whose mile marker was to be seen by all the finishers. With all those things to run for it puts all my negative thoughts, moans and groans about achy this and that, and all the whining about early mornings and cold starts into perspective. With my new race day gear (I’m planning on wearing whichever commemorative shirt arrives in time and also a pair of red Zensah compression sleeves to represent the ‘Red Sox’ – don’t worry I’m still a Phillies fan) I am running not just for myself on May 5th but for all these other reasons. I’ll leave the Disney runs for all my charity fundraising but I hope the rest of my year and future years are to run for health and enjoyment and for all the positive things in life. 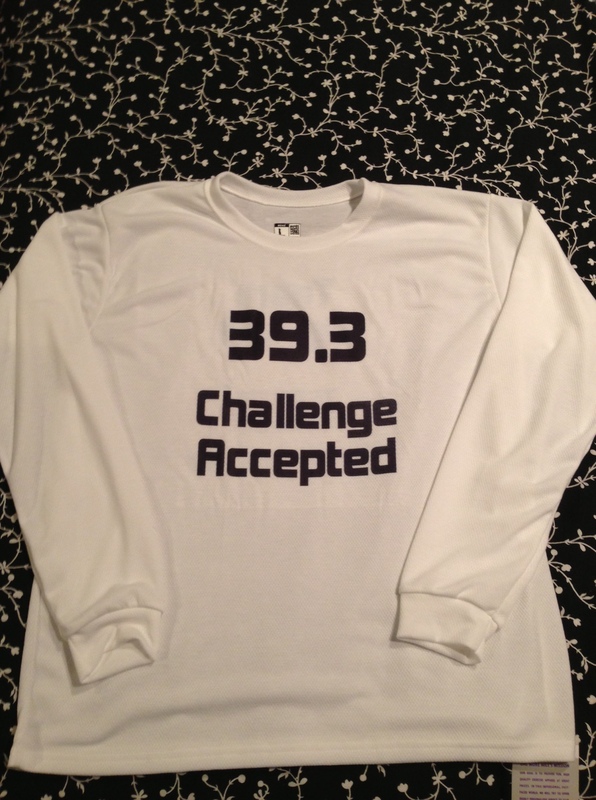 Today I received my number and corral placement (Bib #: 2492 / Corral: ­C) for the New Jersey Marathon on May 5th. 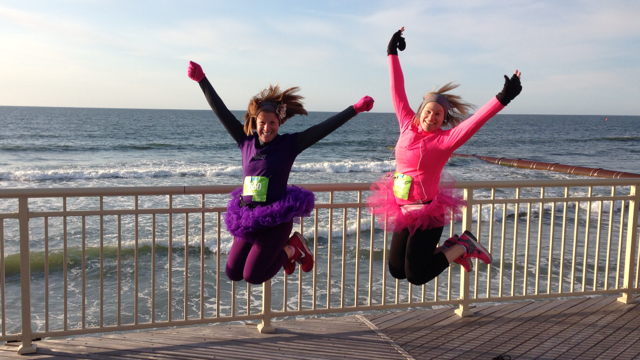 Originally we were to run for the victims of Hurricane Sandy (Restore The Shore) but now I will also be dedicating my miles to the victims in Boston and for all those runners who after months of training were unable to complete their races. We are a community of runners. As a runner who has completed a few marathons I know the dedication, hard work and emotions running a marathon takes. My heart goes out to all those affected by the tragedy in Boston. For those who finished today, be proud. Even though this year will be remembered for this sad act you earned your medal and wear it in honor of all those who were unable to finish. Be proud. 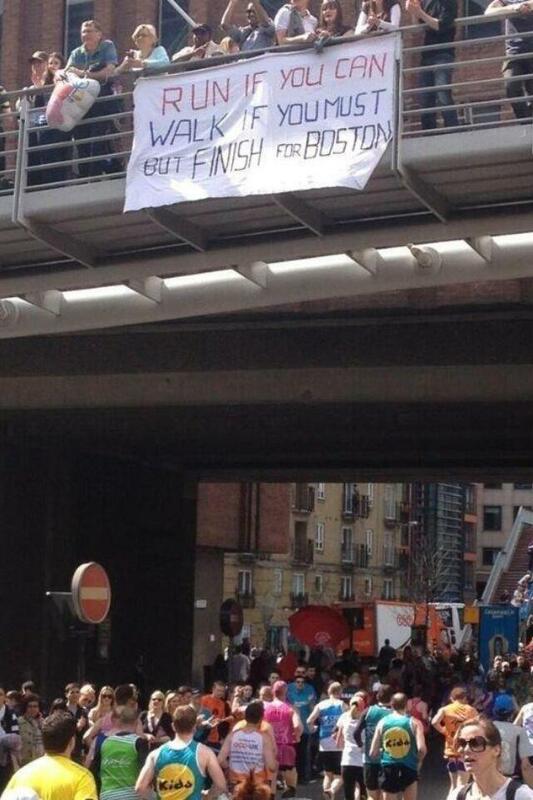 Be strong Boston. Am I nuts? How do you define ‘fun’? 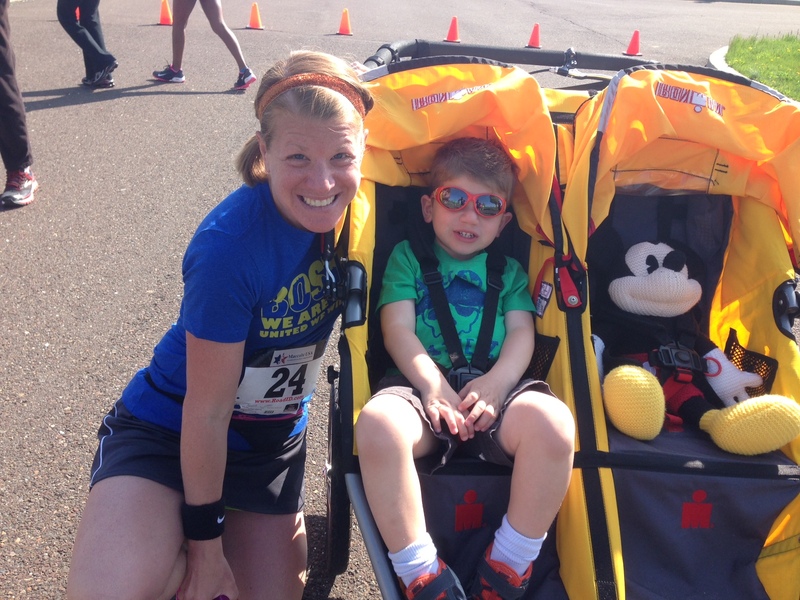 Today runDisney officially opened up registration for the 2014 Walt Disney World Marathon weekend. About a week ago some limited pre-sales opened for the Runner’s World Challenge, Disney Vacation Club members and Disney Visa Card holders. Spots were limited and it seemed were snapped up very quickly due to the excitement of the new events in 2014, the Minnie 10K and Dopey Challenge. I personally registered to run last Friday by signing up again to run with Team Up to raise funds and awareness for Autism Speaks. I ran the Goofy’s Race and Half Challenge with them last year raising just over $3,400 of which I am very proud. I will admit that the expectations of my donors were on my mind during the Marathon when I was beginning to feel uncomfortable and as much as I was proud of myself for achieving the Goofy I was relieved that I hadn’t let everyone down. Of course I said to myself I would never do something so crazy again. Umm…. So there are a few changes that runDisney implemented this year which can be seen here. The big takeaways from this are that in addition to the new races, they have made changes to the numbers of entrants so that the courses can move more efficiently. They have trimmed back numbers for the Half Marathon (traditionally the most crowded) and runners now have to submit proof of time to get a corral assignment. There will be more corrals at the start so they can spread the runners out according to ability which should ease congestion on the course. Will this work? We will see when we hit ‘Cone Alley’ after leaving the Magic Kingdom. The other news is that they are keeping the Marathon Course the same as in 2013 which took us through the Walt Disney World Speedway and also through the ESPN Wide World of Sports. 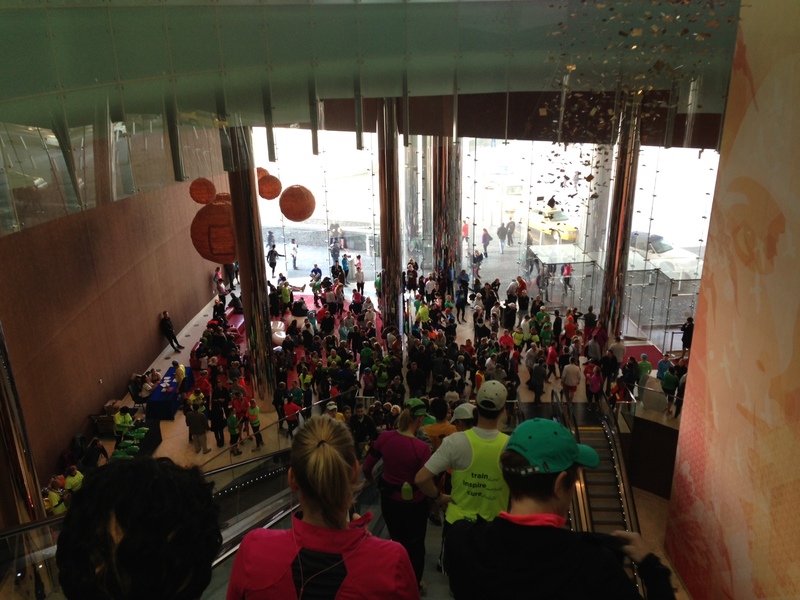 I ran the Marathon course in 2012 and 2013 and had a few thoughts on this. In 2012 we started with a loop through EPCOT on our way to the Magic Kingdom and the park still had the holiday decorations lit which was nice. As this pushed the mileage reached at the Magic Kingdom to mile 10 instead of mile 6 as it was in 2013 it was daybreak when we reached the Castle which I thought was pretty cool. In 2013 instead of the lights at EPCOT we arrived at the Magic Kingdom still in the dark and saw Main Street USA all alight and the Castle glowing in the distance. That could not be beat. It is really an unbelievable experience. There was a very tough out and back in 2012 between miles 18-20 and this is where I struggled in 2012. I lost a minute per mile from mile 20 but still finished upright. In 2013 this was eliminated with the run through ESPN (although that seemed like it went on forever but that may have been the excessive heat). I liked the 2013 course and will be looking forward to running it again. At this time they haven’t announced the 10K course but I believe it will be in EPCOT where all the races start. So, I’m registered and looking forward to the four days of early wake ups (start times are 6:30, 5:30, 5:30 and 5:30), carb loading on Mickey shaped treats, trying my first Dole Whip which everyone seems to know what they are but me and meeting new friends and sharing the experience. 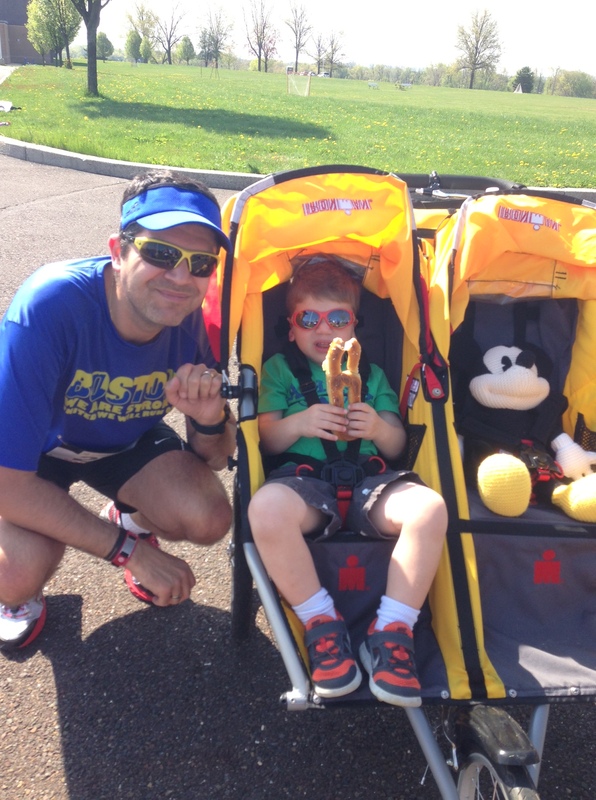 Logistically this needs to be a solo trip as my eldest will be in grade school and my wife and I are taking turns to participate in runDisney events next year so we can look after the boys. 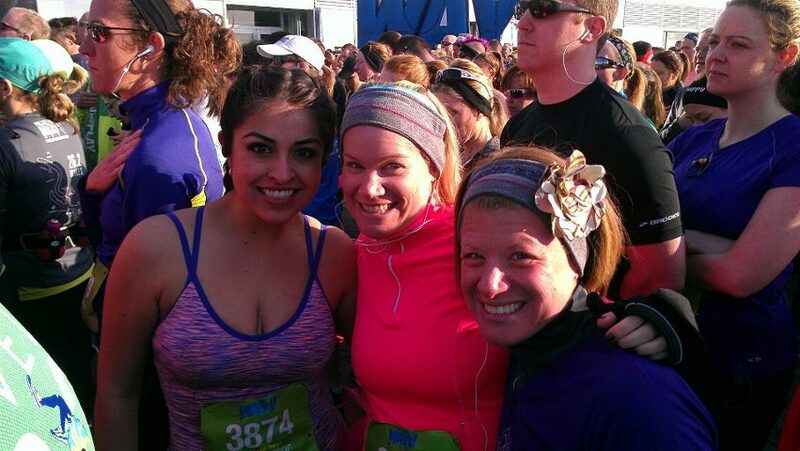 She will be signing up for the Princess Half Marathon in February 2014. Don’t worry boys, Daddy will bring you some overcompensating gifts home! I’m planning to use the same training plan I used for last year’s Goofy Challenge which is to use Hal Higdon’s Marathon Intermediate 1 plan to get me through the Philadelphia Marathon and then use Hal’s Multiple Marathons plan for the period between Philadelphia and the Dopey Challenge with an adjustment on the weekends so that my Saturday runs are at least half the Sunday run in length (see my plan here). Wish me luck. Okay, so I’m signed up. What I now need to do is to train hard and healthily to get me to the starting line but also, and often the hardest part, is to raise the required donations for the cause I am running for. Autism Speaks is a charity near and dear to me. My niece in the UK was diagnosed with Autism Spectrum Disorder and although I am not able to be there on a day to day basis to help, by raising funds and awareness I am doing what I can to help her and similar families. Over the next few months I will be raising funds for this cause. If you would like to make a contribution I would be very appreciative. You can follow this link. Feel free to share this link if you can. If you have any great fundraising ideas that would be great too. 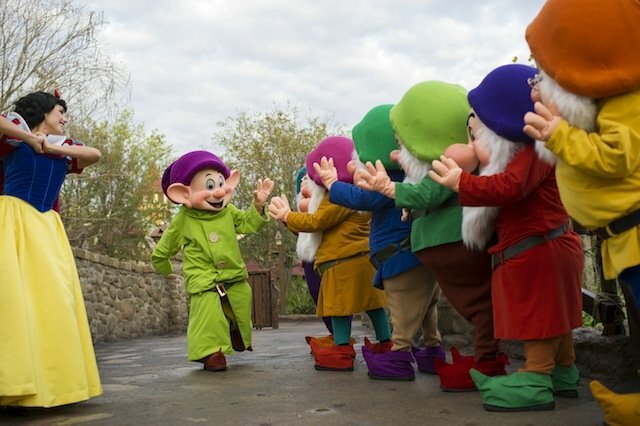 I’m planning a virtual 5K later this year (watch out for it) which may have a Disney theme with a bit of a twist. You have been warned!! 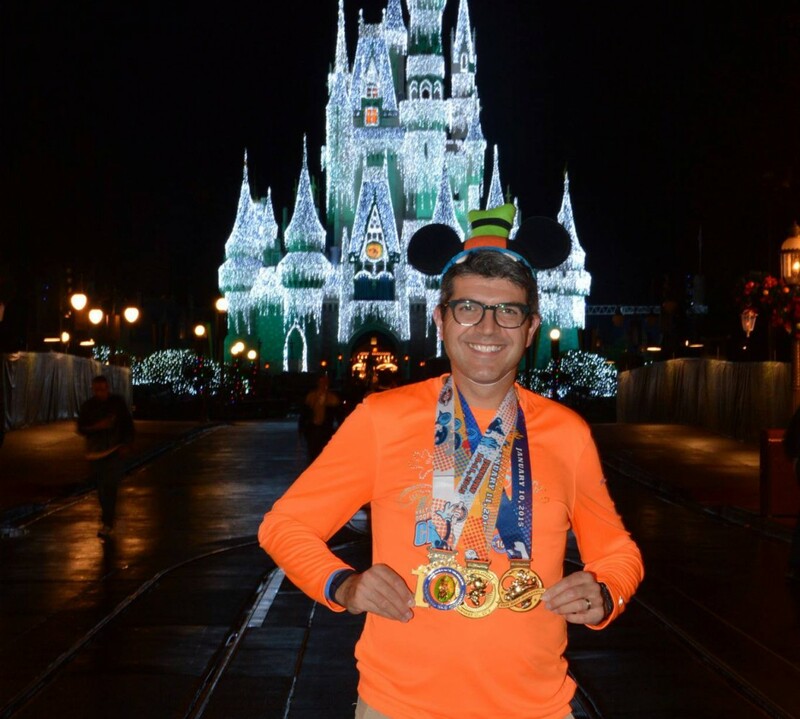 So, let me know if you are also signed up for any of the Walt Disney Marathon weekend races in 2014. What you are looking forward to most? What you are most apprehensive about? Let’s share this journey together. 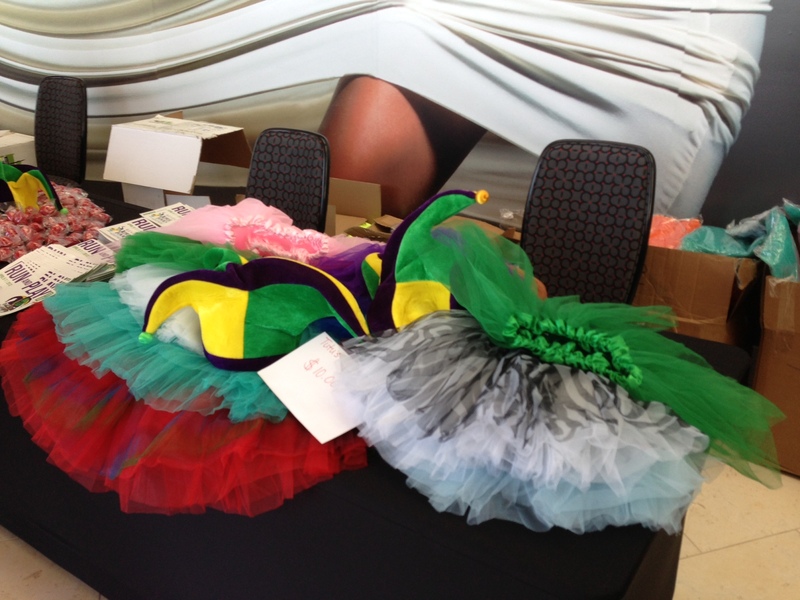 ‘An elephant, a purple tutu and an unintentional PR’. 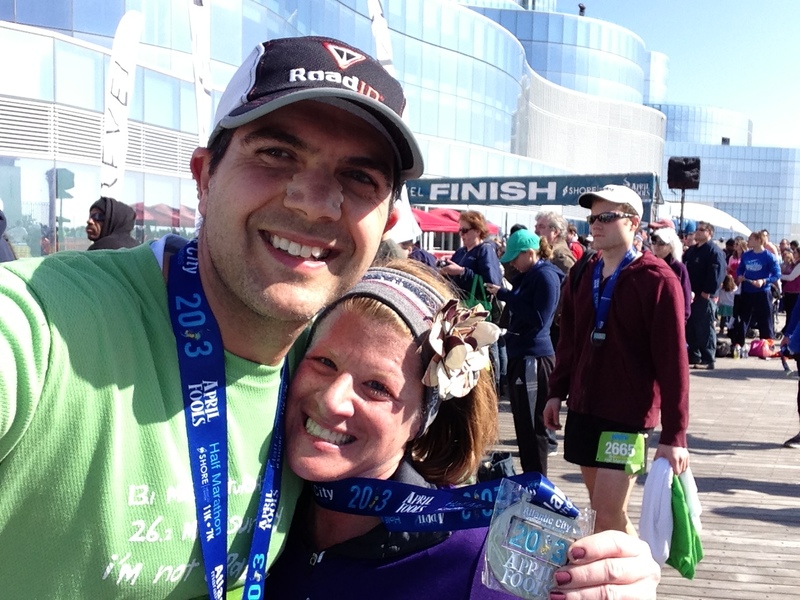 This weekend my wife Shari, my sister in law Rina and I headed down to Atlantic City, NJ to run the Atlantic City April Fool’s Half Marathon. 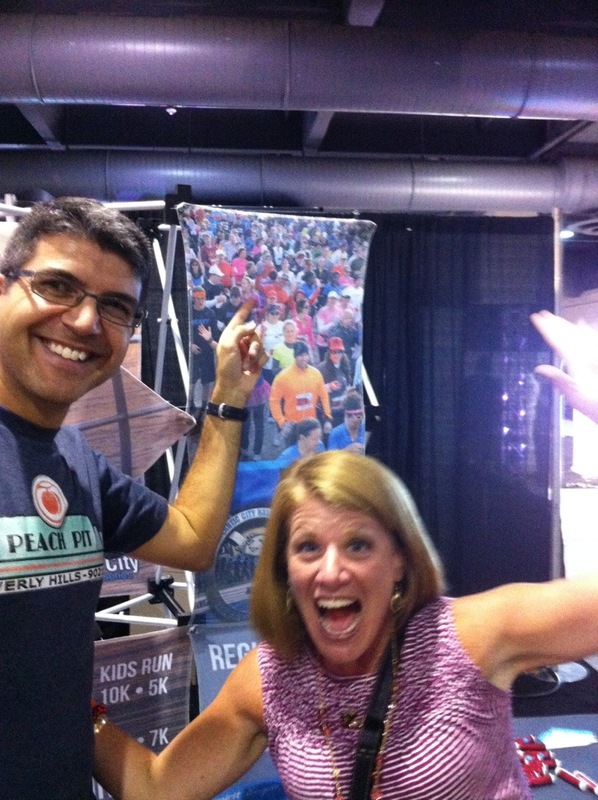 Shari and I had run the inaugural race in 2012. It was a fun weekend and so we signed up again together with Rina which was to be her second half marathon after Walt Disney World this last January. We don’t really have a choice ‘NOT’ do to run in this event, after all we were part of the advertising campaign for this race which we discovered at the expo for the Rock & Roll Half Marathon in Philadelphia last September. The weather this weekend finally was seasonal and so we headed down early on Saturday to get our race packets (packet pick up was at the Revel Casino and Hotel) and then headed over to Ocean City, NJ so that the boys could have some of their own fun at the amusement rides on the boardwalk. They had a blast. I on the other hand broke my own rule about fun fairs (which is that Mummy does the rides and Daddy holds the bags). Let’s just say I never want to see a ‘Tilt-a-Whirl’ ever again. Not a good idea to lose your sense of equilibrium the day before a race. Anyway, once everything seemed upright we headed back towards our hotel with a carb-loading stop at one of our favorite Italian restaurants before heading in for a reasonably early night. We had booked our hotel (Marriott Courtyard) when we signed up for the race as it was close by Bally’s Casino and Hotel which was the start/finish line last year and what was on the initial information we had. The start/finish line was moved back about a mile to the Revel Casino and Hotel so this called for a walk of just under a mile to the start line early Sunday. It was a little chilly as we left our hotel and we were all worried we were not dressed appropriate but better to be too cold than too warm when running. 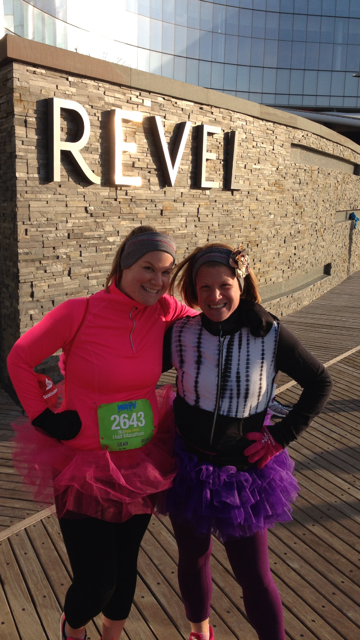 We huddled into the lobby of the Revel with all the other runners to stay warm. One advantage of such locations is that there are real bathrooms available pre-race and somewhere warm to stand. A nice luxury on a chilly morning. As we shuffled out to the start line with the rest of the runners we bumped into our friend Mayela who we first met at last years race. She looked like she was dressed for summer and made us even more concerned we were dressed wrong with our multiple layers. Oh well, too late now. Following the singing of the National Anthem the race started promptly and off we went. My plan for this race was to take it steady and run easy as my goal was to use this as a training run with the New Jersey Marathon just 4 weeks away. I didn’t want to overdo it. The last time I had run with Shari was at the Walt Disney World Marathon back in January and we had previously run the 2012 Philadelphia Rock & Roll Half Marathon and Hershey Half Marathon together step by step from start to finish. I thought we would be doing the same and was looking forward to doing so as last year we both ran our own race here (and both PR’d). What I didn’t expect was my little red head in a purple tutu to go off the start line like Lightening McQueen!!! What the heck?!?! This was unexpected. I wasn’t quite prepared and I spent more than half the race just trying to keep Shari in my sights. Luckily she was easy to spot all in purple with a tutu. I felt good running and was monitoring my heart rate to make sure I wasn’t exerting too much effort. It was a nice sunny day and so I settled into a good rhythm and got my head in the game. 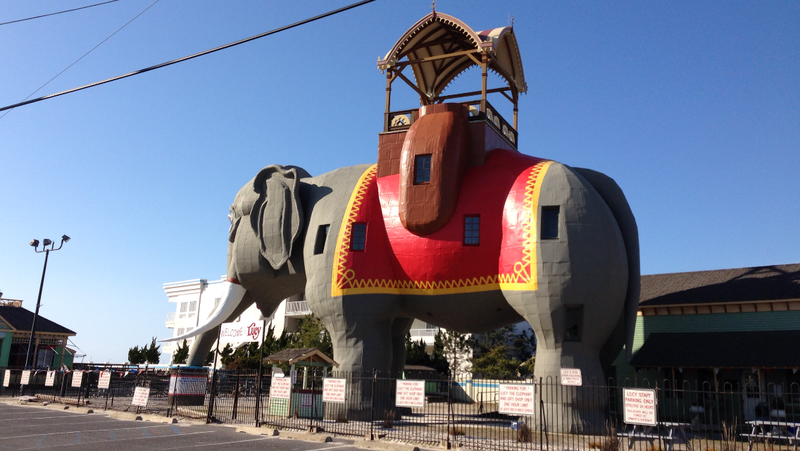 Once we left the Boardwalk in Ventnor, NJ we headed through Margate, NJ past Lucy the Elephant to the turnaround just inside of Longport, NJ. The course is pretty flat, in fact the only ‘hill’ was the ramp up to the Boardwalk at mile 8.5 on the way back into Ventnor. On the way out, I would say I was around mile 5, I saw the leaders running back towards me. 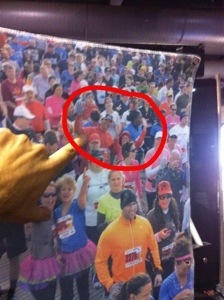 I tried to kid myself that they must have been running the 11K race but no, they really were that much faster than me. During this race I was still experimenting with my run/walk ratio ahead of the NJ Marathon. I had gone from 5:00/0:30 which I used for almost all of 2012 and through Disney to 4:00/0:35. However during the race my Gymboss interval timer malfunctioned and I had to fix it on the run. Delicately handling the device so not to lose the battery I removed and replaced the battery and reset the device all while moving at a consistent pace. I am not sure how long I was running but probably missed a walk break. I moved the interval to 4:00/0:40 so I could have a little more time to bring my heart rate down during walk breaks and soldiered on. I saw Shari after the turnaround heading in the opposite direction and later saw my sister in law who yelled that Shari was beating me by a lot (thanks for the support Rina). I finally caught up to Shari just before we turned back onto the Boardwalk. We pretty much were close together until the last half a mile when annoyed by my constant chit chat she told me to go ahead. We finished within seconds. I ran 1:52:43 and Shari ran 1:52:54. I had PR’d by just over a minute and Shari PR’d by over 5 minutes. Awesome stuff. I looked at Shari’s splits after uploading her run to Garmin Connect when we got home and she was consistently within a few seconds of 8:30 a mile all through the race. I had a negative split (maybe my first) and that is the only way I was able to catch up with Shari. We had told my in-laws that we would probably be around the 2 hour mark but thanks to the purple speed demon we were ahead of plan. At around mile 12.5 I passed my in-laws coming to the finish line with the boys. I gave a quick yell so they could see me but I was a green blur to them. Luckily they were able to catch Shari just as she ran past as a purple blur. We crossed the finish line and again bumped into Mayela who finished about a minute or two ahead of us. We quickly grabbed some water and food and headed to see the boys. They were so excited to see us and I think more excited that we brought them food. Everyone seemed to be having fun while we waited for Rina to finish. We were all full of soft pretzels, bananas and Gatorade (and Micah was full of ice cream….before 10am) as we waited for Rina and cheer her on to the finish. After a couple of false alarms (we saw pink in the distance but the runners were not pink) Rina came into view. Everyone was excited for her, no more so than her Mom and Dad who came down with the boys to the finish line to watch. 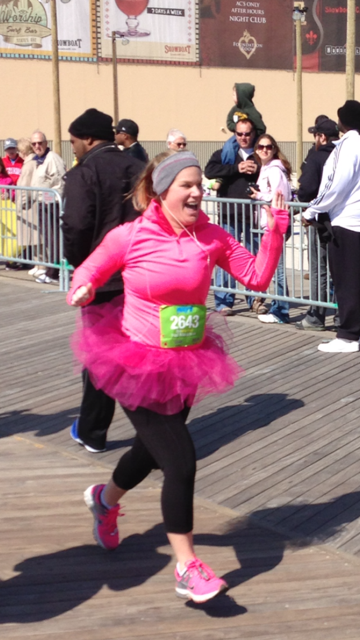 We cheered here on in all her pink tutu’d glory as she PR’d by almost an hour in only her second Half Marathon.